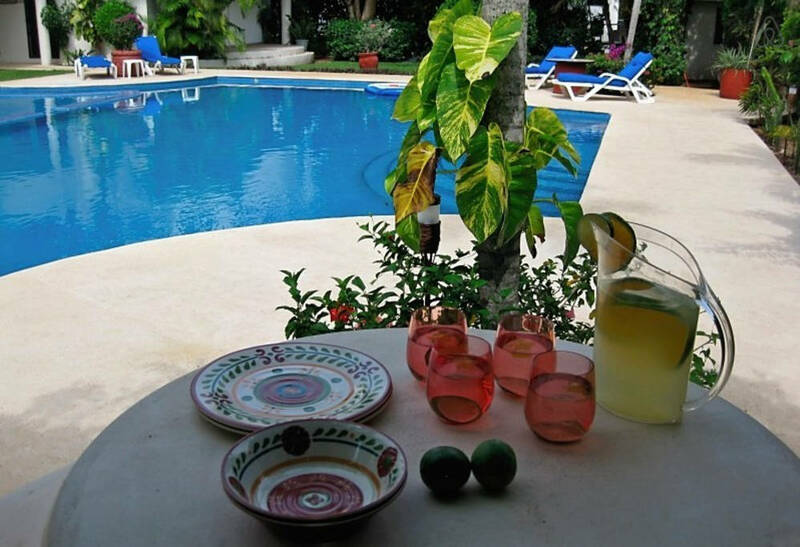 Cozumel if you are so inclined. 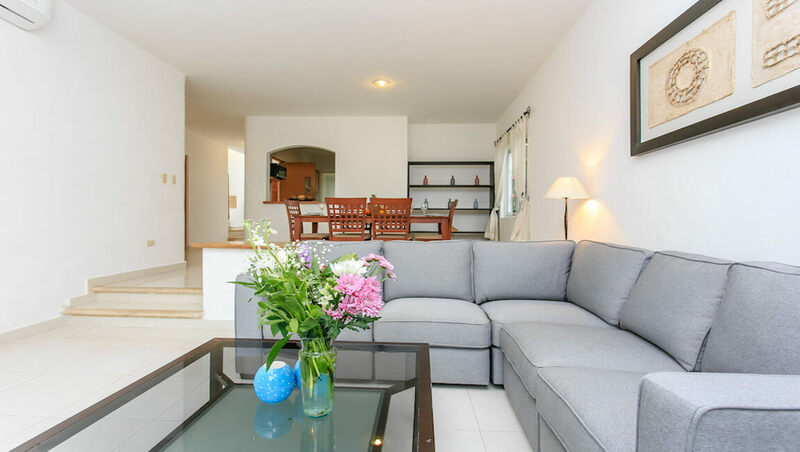 Take a short walk through Playacar, past the amazing Mayan ruin and you’ll arrive at the uncrowded white sand beach of this complex. 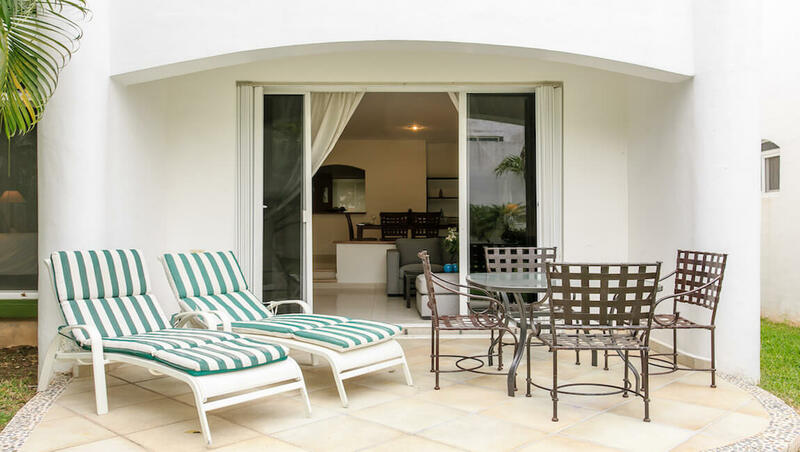 Playacar offers 24/7 secured entrance, the popular Robert Von Hagge Golf Course, bike and running trails, and ample green space. 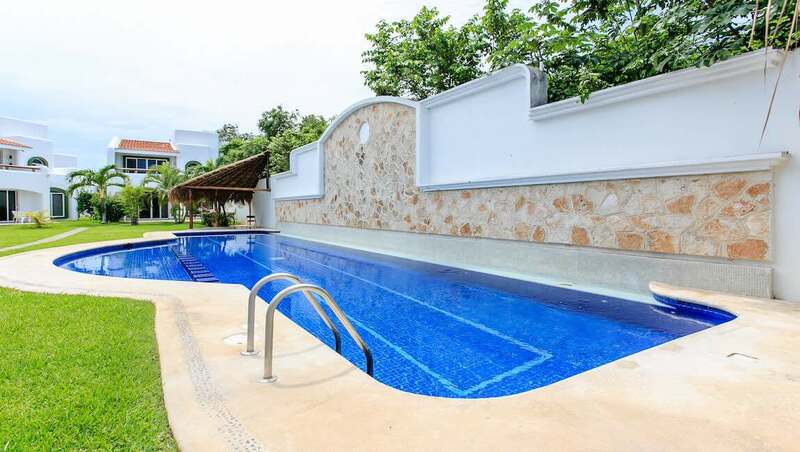 Each building in Mayamar complex has a beautiful landscaped garden that surrounds a shared pool with plunge area for kids and a small palapa. 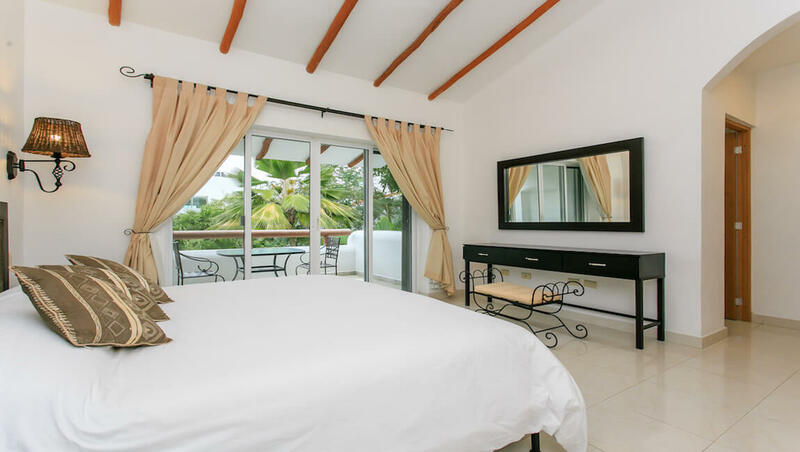 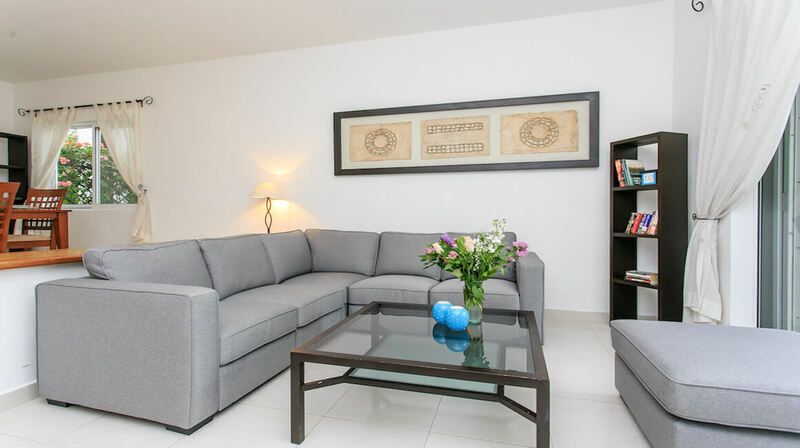 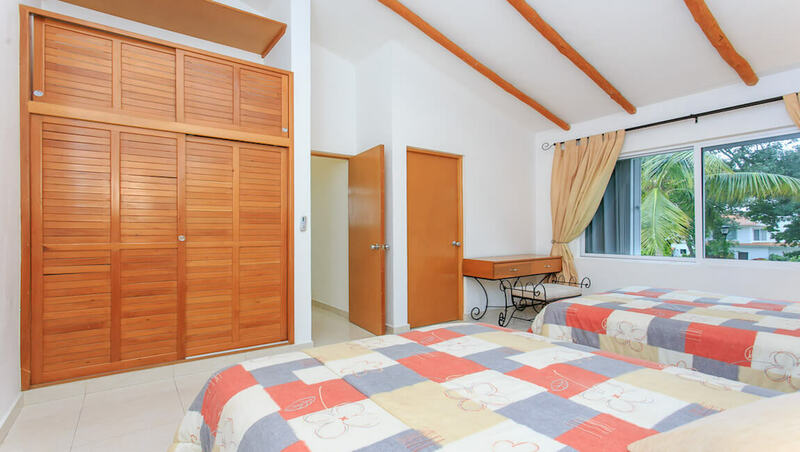 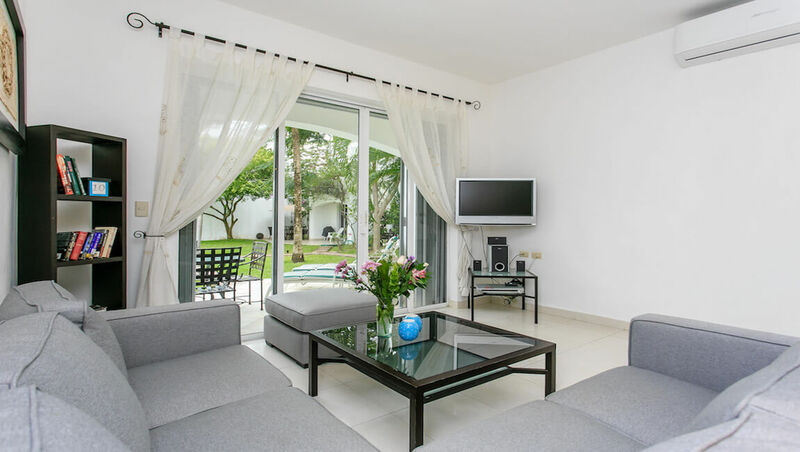 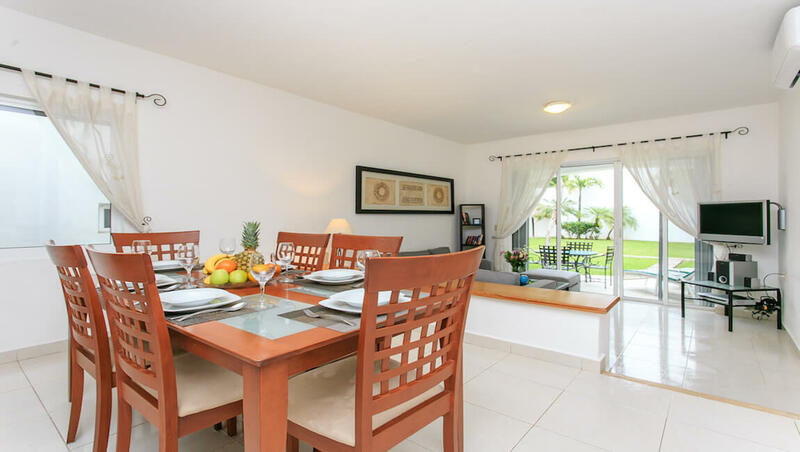 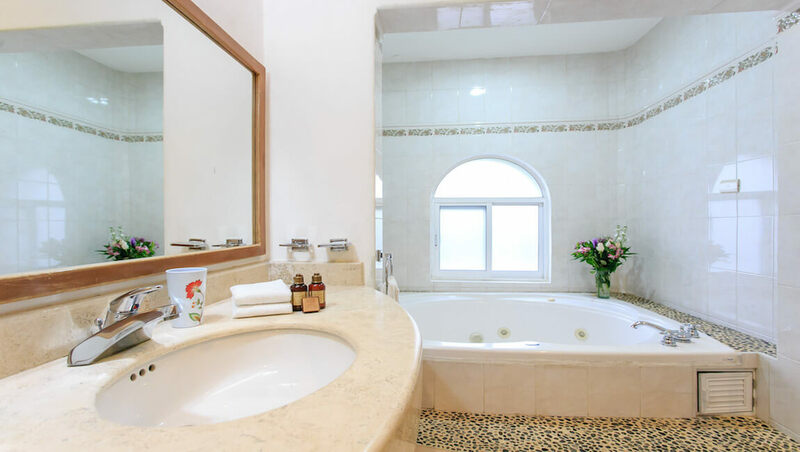 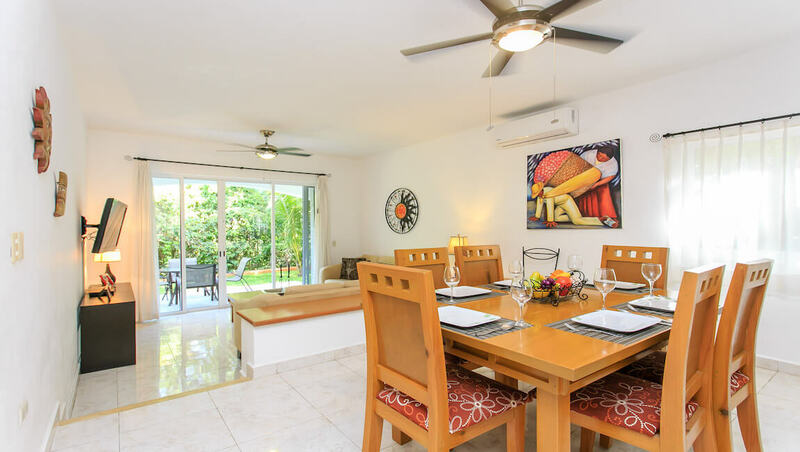 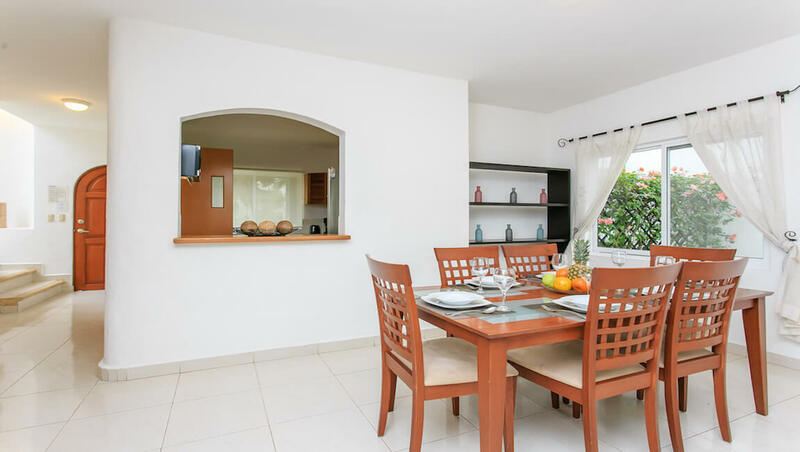 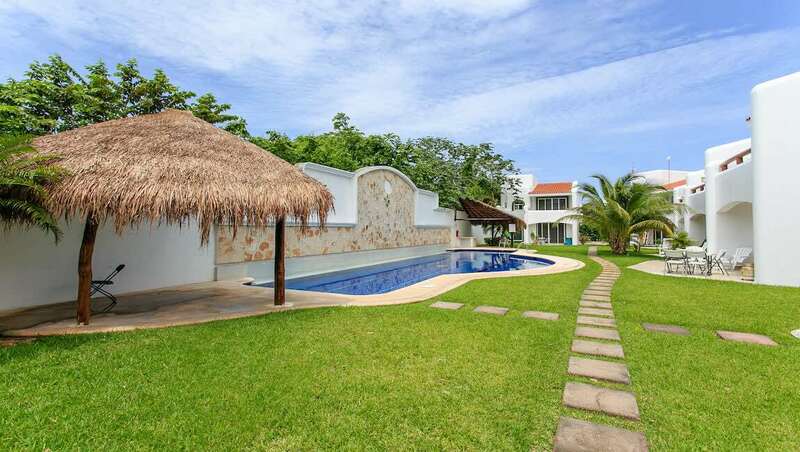 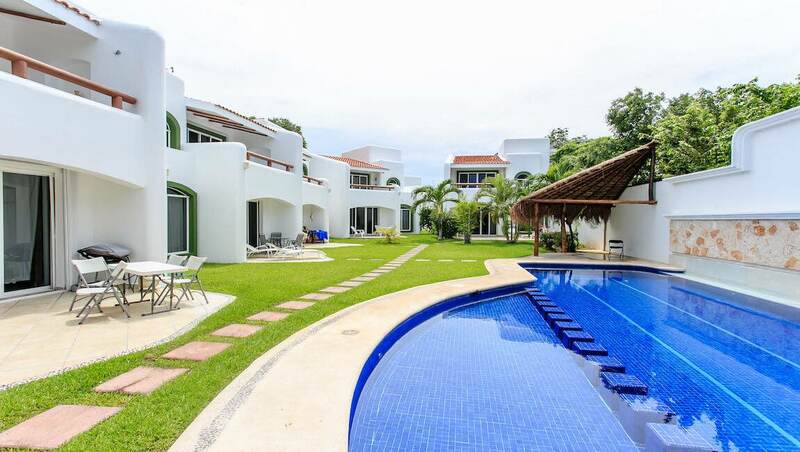 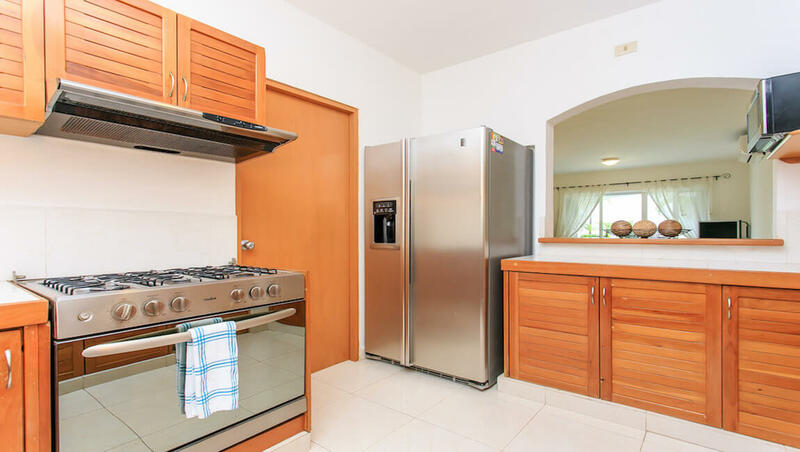 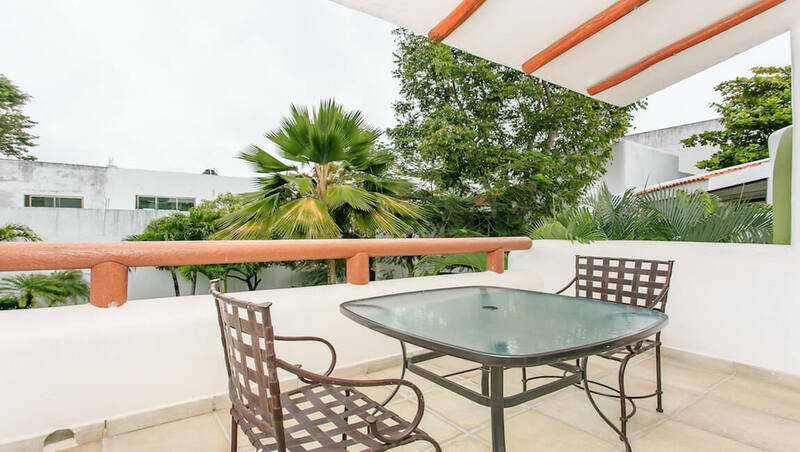 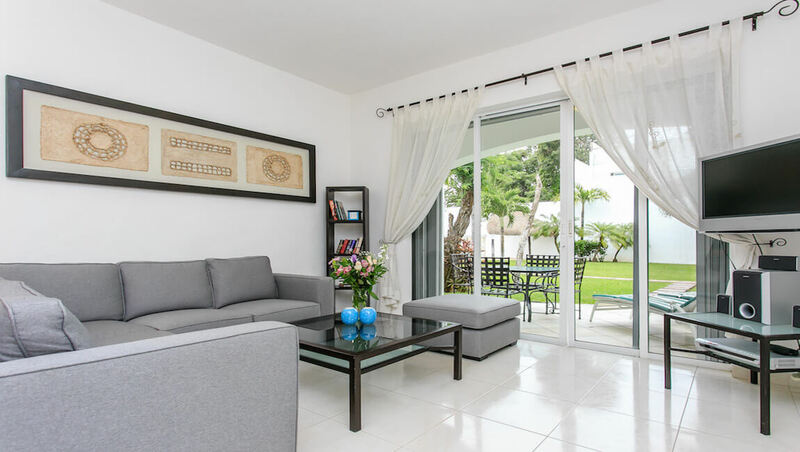 This 2-story 3 bedroom, 3 bathroom home is an excellent choice for your family or large group of friends looking for spacious Playa del Carmen vacation rentals. 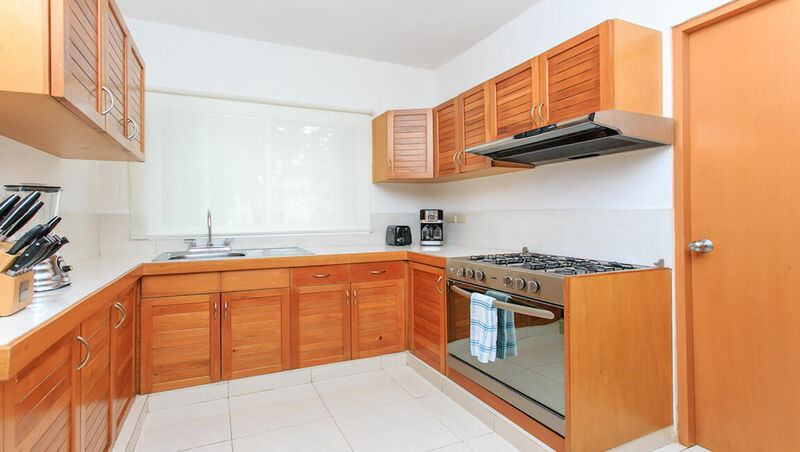 Featuring a fully equipped kitchen with adjacent laundry room, a cozy living room with comfortable sofas, TV, and lots of windows to let the sunlight fill the home, and a nice dining area, you will have easy access to the private terrace and be able to enjoy the scenic views and green areas the complex has to offer. 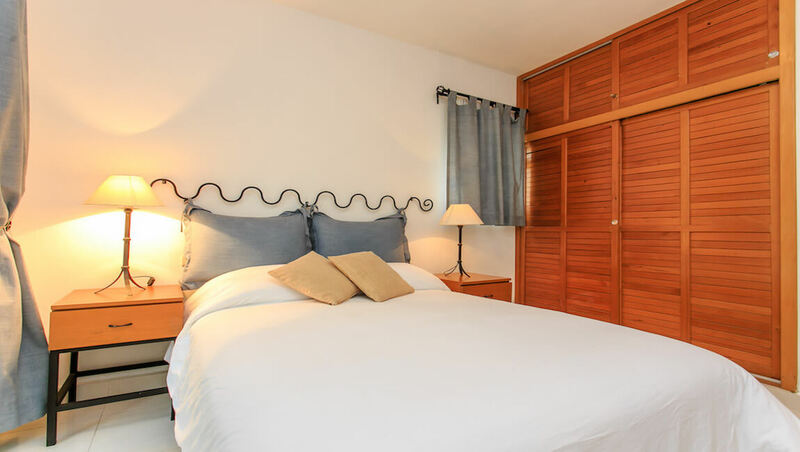 One first floor bedroom contains a double bed. 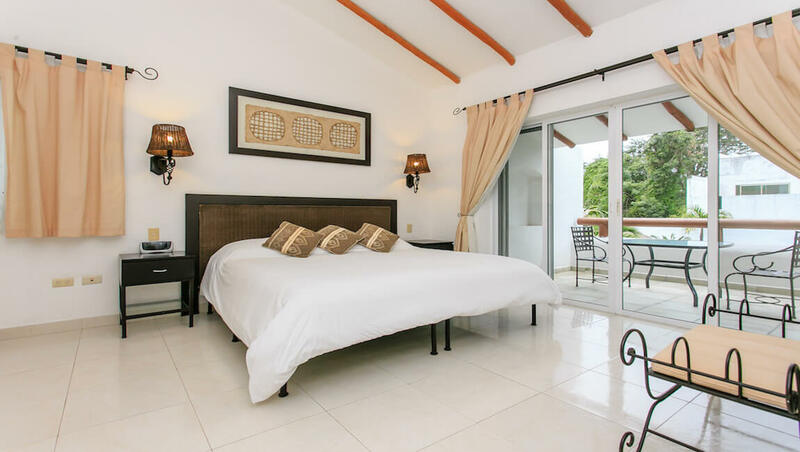 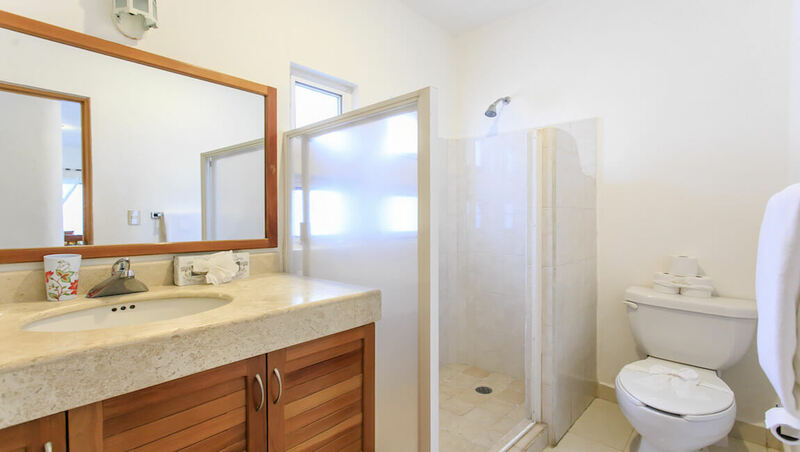 The second floor of this vacation rental features two additional bedrooms, each with en-suite bathrooms. 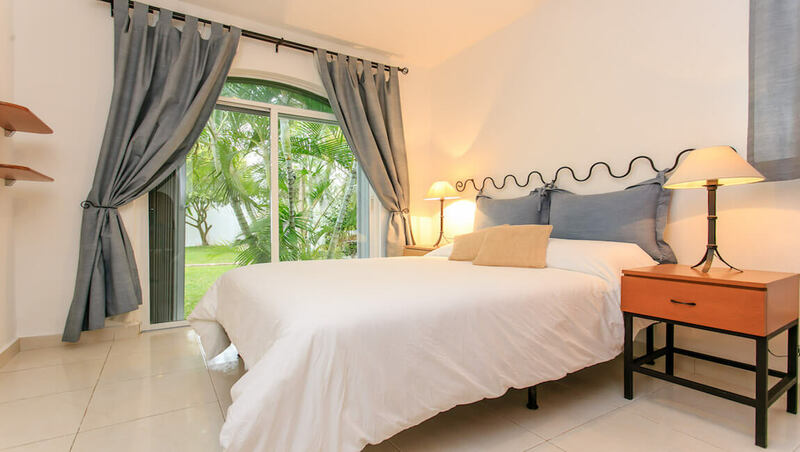 The master contains a king size bed, walk-in closet and access to a private terrace overlooking the common areas of the complex. 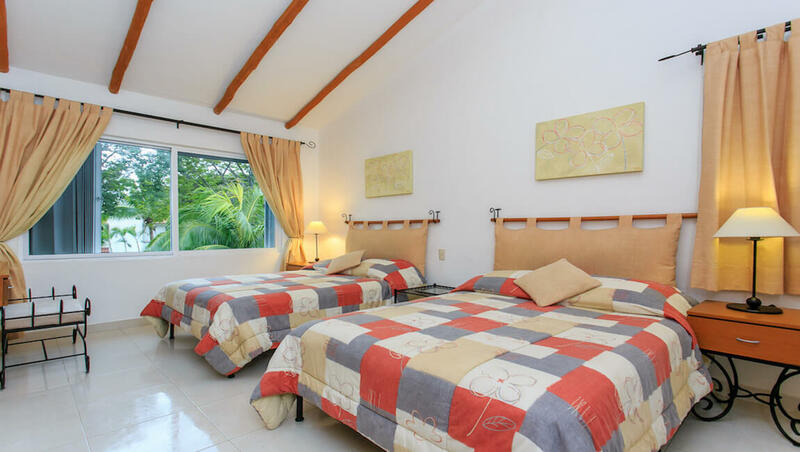 The 2nd floor guest bedroom contains 2 double beds.